The festival flags welcome poetry-lovers from all over the world at the Ro Theater, one of five venues that hosted the festival. In the late spring of almost every year since the early seventies, the Dutch city of Rotterdam has been flooded with poets coming to be a part of the Poetry International Festival Rotterdam. For close to a week, the city becomes an international poetry hub. 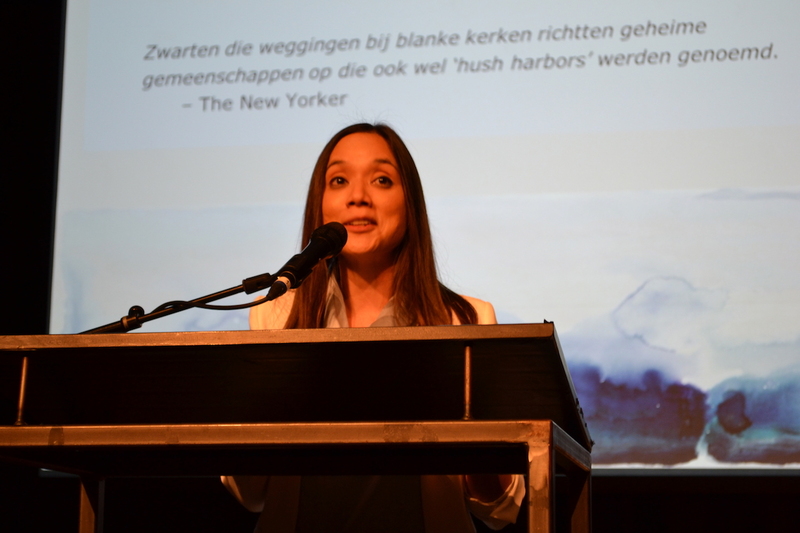 The theme for this year’s event was “I”—“ik” in Dutch—broadly conceived. If you can imagine a concern about the self and contemporary poetry, that concern was represented; there were questions about public and private selves, about the I that reads to the audience and the I in the poem being read, about the social function of the I who writes the poem, and about the number of stylistic approaches a single I can conjure. I say “broadly conceived” because some of the events were not directly connected—or they allowed the participants to forget the festivities had a theme—whereas other events were immediately apparent. The afternoon programs followed one of several formats: there were ITalks, a collection of lectures and videos about the festival theme like Katigbak-Lacuesta’s presentation; there were Poësiecafes, hour and a half programs where interviewers gather around a kitchen table for casual conversation with three or four different poets in succession; and there were Poetry Shorts, a session with three rapid-fire readings. The evening events were often more singular—there were the opening and closing ceremonies, complete with musical compositions knitting the poets’ with the I-theme. There was also a radio play and an award ceremony for the best Dutch debut collection, for example. I scooted into Thursday’s Poetry Shorts a little early and encountered a white man at the podium with a shock of white, wavy hair, wearing a slightly oversized black button down shirt and equally baggy black slacks. He was working with the staff to adjust the lighting for his reading. He spoke in English to the woman standing next to him, who would then communicate with the lighting crew in Dutch. Judging by the number of lights that turned on or off and back again, or dimmed to varying degrees, it’s possible the crew was simply playing a lighting glissando, but the man kept squinting. Finally he said, “It’s that one, really” and flicked a gesture somewhere between a point and a wave toward his left. He was gruff; he had an air of chronic discontent. I’m not sure that the lights ever got to be the way he wanted them, but he said an unsmiling “thank you” and sat down. I wondered if he knew how terse he seemed. Once the program was well underway and the introducer called the final poet to the stage, I realized this gruff-muffin was John Kinsella, which made me reassess my own abrupt judgments. Here was a man who has spent his life resisting the structures of the state, which would make anyone, well, a little tired. If I have so much energy for politeness (and assessing the politesse of others), maybe I’m the one doing it wrong. structures they call ‘skeleton weed’. The two poets whose work I felt most drawn to at this year’s festival are on the surface so different—one deconstructing the lyric self in the context of social media and the other writing poetry as an extension of environmental activism. However, the underlying question for both poets is the same: what is the self’s responsibility to the community? Katigbak-Lacuesta examined how we navigate private feelings in a public, constructed version of a social self. For Kinsella, the poem stands as a complement to the physical body in protest: how can a poem stand up and do justice work? By the end of the festival I understood that the loosely-knit theme of “I” was a careful decision in order to make room for the collective. One must give way to the other. The I (ik) gives way to we (wij). While some things have shifted over the years—the festival was first started under the umbrella of the Rotterdam Foundation of Art and is now its own organization—the purpose of the festival has not changed; Poetry International aims to bring Dutch poetry onto a world stage and to present international poets to an international audience—in the Netherlands and online. The service they provide to the community is remarkable. Liliane Waanders, a literary journalist, noted that it’s not that often that one gets to hear a poet from Myanmar on stage performing with Dutch and English translations provided. She’s right. This high-reaching mission is fueled by year-round work of seven part-time staff and one full-time managing director. 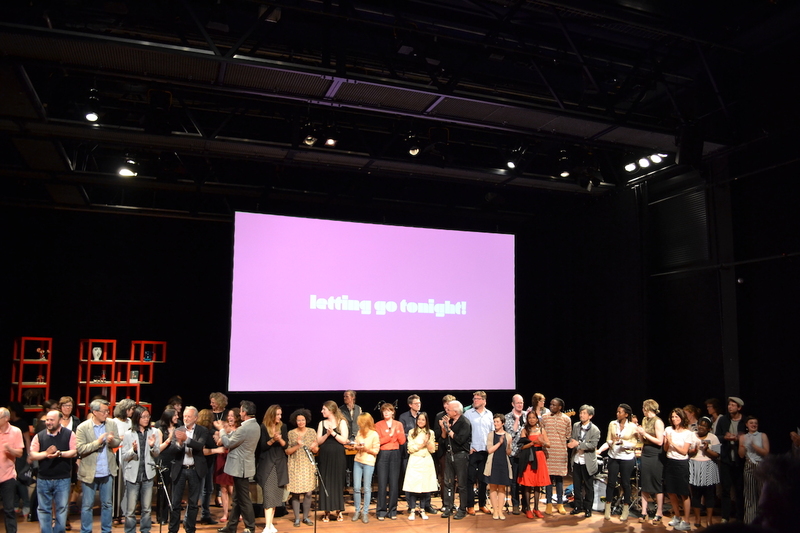 The festival’s official origin story recounts the two founders, Adriaan van der Staay and Martin Mooij, returning from the London Poetry Festival in the late 60s determined to create a similar gathering in Rotterdam. The festival’s current programmer, Jan Baeke, let me in on a bit of lore: the founders are said to have first been inspired by the Spoleto festival in Italy where they saw Ezra Pound performing in his later years. In addition to the yearly festival, Poetry International coordinates a reading tour for nominees of the VSB Poetry Prize, one of the country’s most prestigious awards, and they organize Dutch Poetry Week festivities in late January/early February in collaboration with other organizations. Their website is a rich, multimedia experience. 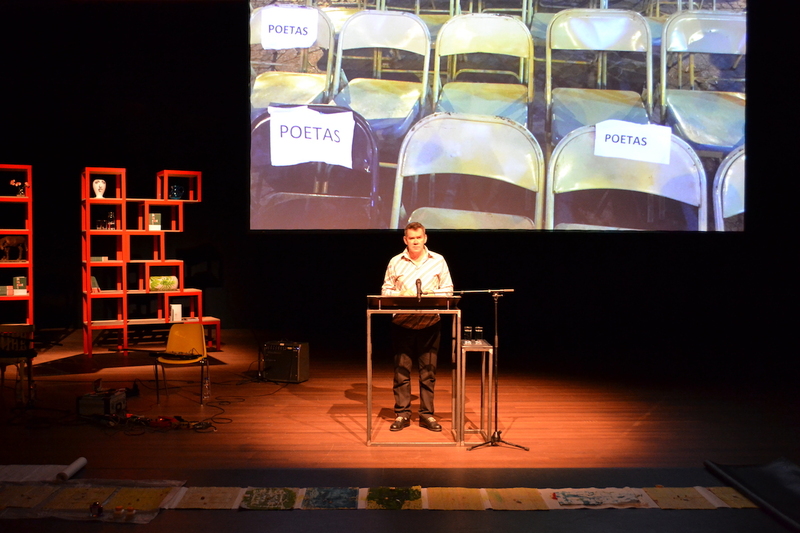 It combines the Poetry International’s festival pages, including a robust and growing digital archive of events, and a selection of international poems in the original language and in Dutch and English translation. Poetry International shares the curation of this ambitious web project with their partners in many of the represented countries, which at last count totaled ninety-five nations. The Poetry Foundation is Poetry International’s U.S. partner. 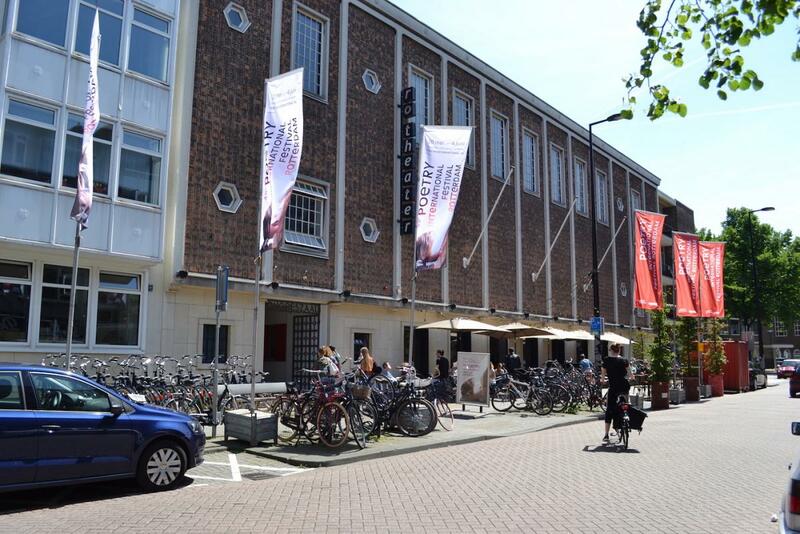 Though the Dutch government used to support arts organizations and individuals directly, the country now funds its arts programming through discipline-specific foundations kept separate from the government. These foundations—in this case the Dutch Foundation for Literature—handle tax and other governmental reporting and compliance issues and support organizations like Poetry International through a highly competitive grant process. The grant cycle is four years. 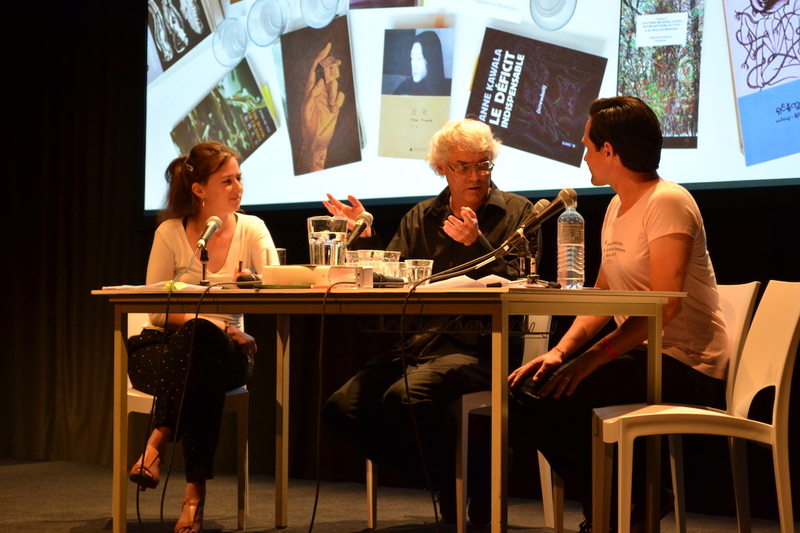 The city of Rotterdam also provides substantial support to Poetry International and the rest of their budget is raised from a variety of sources, including individual donors. The festival manages to put on a spectacular event every year because of the financial support from the government and donors, but also because of the organization’s long history of innovation in and fine-tuning of its programming.